Endace and Darktrace have joined forces to deliver real-time threat detection and autonomous response with definitive network evidence. Darktrace can now be deployed and hosted on the EndaceProbe platform with full integration between Darktrace's Threat Visualizer and the packet-level Network History recorded by EndaceProbes. 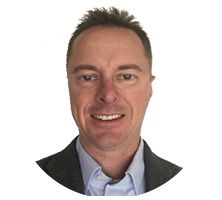 Join Eloy Avila and Michael Morris for this free webinar as they showcase the combined power of Darktrace Enterprise Immune System and the EndaceProbe Analytics Platform to dramatically reduce response times to cyber threats. 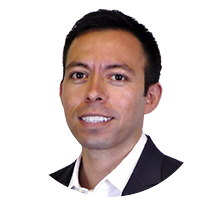 Eloy and Michael will demonstrate the integration between Darktrace Enterprise Immune System and EndaceProbes and how this uniquely powerful combination of AI-based threat detection and deep packet history enables fast, accurate response to security threats of all kinds. 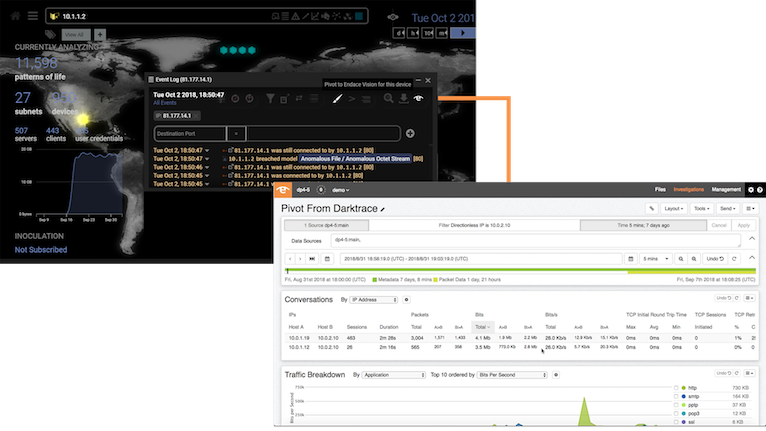 Using a real-world threat scenario they will demonstrate how the Darktrace Enterprise Immune System detects and flags a threat, and how, in a single click, security analysts can go directly from the threat alert in Darktrace Threat Visualizer to the related packet history on EndaceProbes to see precisely what took place. This rapid investigation workflow allows security analysts to respond quickly and accurately to threats as they are detected. Register now to see how the combination of Darktrace and Endace is enabling agile threat detection and response. I grant permission to email me Yes You may change your email preferences at any time using the email preferences link at the bottom of all emails we send you. © 2018 Endace Technology Limited. All Rights Reserved.